100 times faster Internet - New Network design in works! One thing that is constantly in demand and will probably be never ending in today’s world – Internet Bandwidth. Infact, if we have cheaper and larger Internet Bandwidth at our disposal, it would make huge positive difference on how we carry out work & daily lives. Think about what all you could do if you had a continuous internet connection of 10 mbps for a cost of less than Rs.1000 per month. And that day might not be too far – MIT (Massachusetts Institute of Technology) Researchers have been working on a new network design that could make the Internet 100 or even 1,000 times faster while actually reducing the amount of energy it consumes ! One of the reasons current bandwidth speeds are restricted – inefficient signal conversion processes. The routers that direct traffic on the Internet today typically convert optical signals to electrical ones for processing, then convert them back for transmission, a process that consumes time and energy and are highly inefficient. The New approach offered by these MIT scientists called “flow switching,” solves the problem of inefficient signal conversion process. Between locations that exchange large volumes of data — say, Los Angeles and New York City — flow switching would establish a dedicated path across the network. For certain wavelengths of light, routers along that path would accept signals coming in from only one direction and send them off in only one direction. Since there’s no possibility of signals arriving from multiple directions, there’s never a need to store them in memory. You can read the complete white paper on Flow switching here. 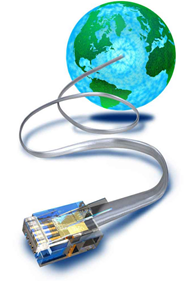 Internet is now over 20 years old – The basic network technology hasn’t changed since the time it was born. Implementing this new network design is not going be easy. The Internet Service providers will have to bring about fundamental changes in their network, like changing existing routers etc. Having said that, the benefit of phenomenal increase in Internet bandwidth (along with saving energy) far outweigh the disadvantages of cost ! Sooner rather than later, it has to happen – What are your views ? need more change in technology so even poverty line people could be get benefit. We are waiting for this fundamental change in networking. A patent for a flow switching method was issued in Malaysia and if anyone interested to invest for the future of Internet, please email to [email protected].